Roadblocks May Keep Guantanamo Prison Open In Obama's first week in office, he vowed to close Guantanamo within a year. That deadline has passed. Now with Congress pushing against trying alleged Sept. 11 plotters in civilian courts and the administration having trouble finding countries willing to accept detainees, it looks like the prison may not close anytime soon. U.S. troops walk the grounds of the Camp Justice compound, the site of the U.S. war crimes tribunal, at Guantanamo Bay, Cuba, in 2009. A bipartisan group of nine senators has proposed legislation that would require accused Sept. 11 terrorists to be tried in military courts. Tuesday morning on Capitol Hill, senators staged a photo op the White House had hoped not to see: Republicans and Democrats stood shoulder to shoulder to announce their opposition to trying alleged Sept. 11 plotters in civilian courts. "It's exactly what I hear from my constituency," says Blanche Lincoln, a Democrat from Arkansas. "These are criminals, they're war criminals, and they need to be tried in military courts." The proposed legislation is co-sponsored by six Republicans, along with Lincoln, Democratic Sen. Jim Webb of Virginia, and independent Sen. Joe Lieberman of Connecticut. It is the latest in a series of roadblocks Congress has built in President Obama's path to closing Guantanamo, increasing the likelihood that the prison could remain open for years to come. Last January, Matthew Waxman of Columbia Law School wrote an opinion piece in Foreign Policy magazine with the headline, "Closing Guantanamo Is Way Harder Than You Think." Waxman handled detainee affairs for the Pentagon under President Bush, and a year into the Obama presidency, his assessment in Foreign Policy seems prescient. "The U.S. government has been wrestling with these issues for a long time," Waxman said in an interview. "The Obama administration brought some new energy and commitment to the issue, but some of the underlying problems still remain." Those problems include finding countries willing to take detainees, figuring out how to try detainees accused of crimes, and setting up a system to hold people who will neither be tried nor released. The administration has said it wants to house some detainees at the Thomson Correctional Center in Illinois. President Obama's budget provides for $237 million to buy, renovate and staff Thompson. At the budget rollout Monday, Justice Department officials said they won't have the cash in hand to buy the prison until October of this year, at the earliest. Add six months to upgrade the facility, factor in congressional resistance, and the timeline for closing Guantanamo could easily slip into the next presidential election. "It was an explicit campaign promise of the president," says Robert Raben, who was a senior Justice official in the Clinton administration, "so it's a problem." Raben has advised the Obama White House on many issues, though not Guantanamo. He believes the Obama administration "heavily misjudged" how difficult it would be to close the prison. "The organizing principle [of the campaign] was hope and change," says Raben. "The organizing principle was not a blueprint for how this many Yemenis would be transferred to Yemen, and this many Afghans would be sent to Afghanistan." While there are strong political reasons for the White House to push for a quick conclusion to the Guantanamo saga, Human Rights First CEO Elisa Massimino says there are national security reasons, as well. "This is not just a slogan or a campaign promise," Massimino said in an interview. "Every day that Guantanamo remains open, it is being used as a recruiting tool for al-Qaida, and it undermines the ability and the willingness of our allies to join with us in fighting the terrorist enemy." The White House regularly says the president remains committed to closing Guantanamo. Some national security experts believe the debate over whether and when Guantanamo closes misses the point. "Where [detainees] are ought not to be driving the debate," says Bobby Chesney of the University of Texas Law School. He served as an adviser to the Obama administration's detention policy task force. "We should be focused on whether we have a consensus about how they should be held, what the screening mechanism should be, what the conditions ought to be, regardless of where it is." But for better or worse, Chesney says, "the public debate has focused extraordinarily closely on the fact of Guantanamo itself." It is a debate that, despite the administration's most ardent wishes, appears unlikely to end anytime soon. At What Cost? 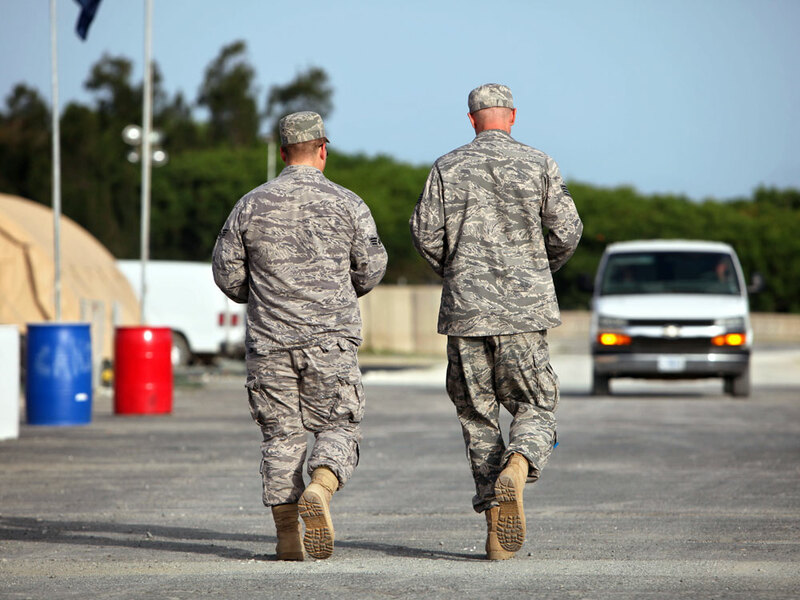 Moving Guantanamo Inmates To Ill.